The a3Genealogy research team decided to welcome 2018 by responding to some of our most pressing questions of 2017. We are still getting quite a few questions/inquiries and shared frustrations via phone and email on the FamilySearch "no microfilm distribution policy" of 2017. So we turned to the a3Genealogy FamilySearch expert, Lauri Jean Swett to unscramble what's possible and what's not. 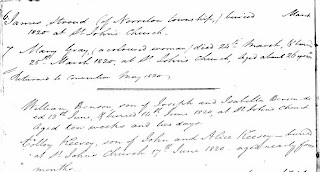 Lauri Jean shares tips, hints and suggestions on how to succeed at retrieving our ancestor related images and documents. Let us know if you have other questions on this topic that may help with your genealogy project. 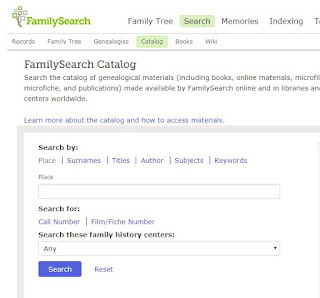 FamilySearch shocked the genealogical community with its announcement this summer that it was discontinuing microfilm distribution to local family history centers and affiliate libraries. Why would FamilySearch make this change after 80 years? The primary reason for the change is that most of its microfilm collection has been digitized and is available online. Additionally, digital cameras are now used for record preservation not film. 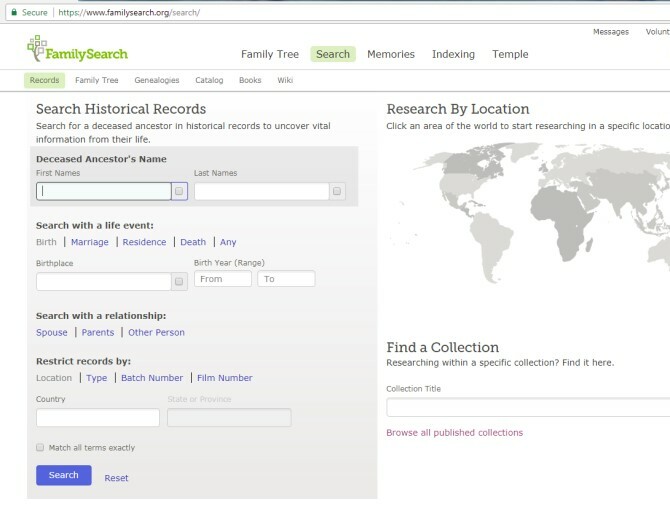 According to FamilySearch, their entire collection will be digitized by 2020. [i] With the ‘why’ out of the way, the next question is: if most of the collection is already digitized and available online, how do we access the images? 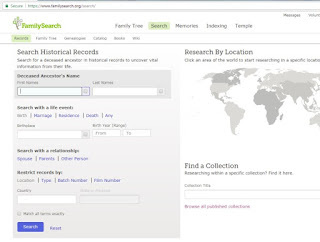 The easiest way to locate images in FamilySearch is to follow those attached to indexes. 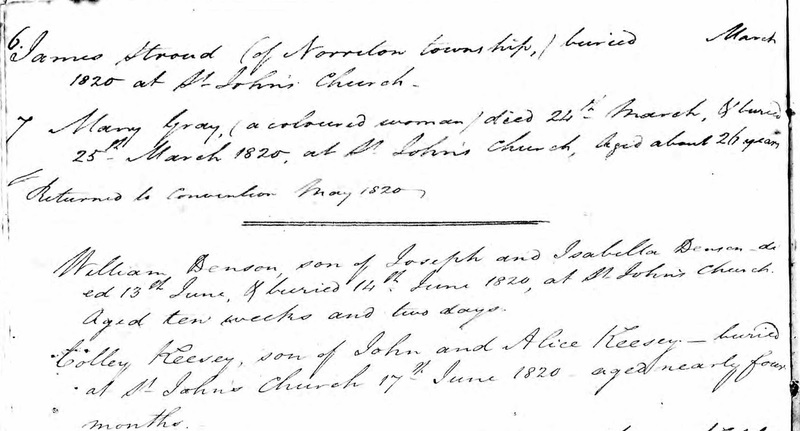 To do this, search the historical records here, with an ancestor’s name. The entries in the list of search results will have icons on the far right. The camera icon means an image is available. Click on this icon to view the digital image. Does the camera icon include a webpage behind it? This means the image is available on another website such as BillionGraves.com or FindAGrave.com. Click this icon and you have the option to visit the partner website to see the image. This option requires a few more steps. First, open the index entry. The microfilm number may be in two locations. To the right of the entry details may be a section that includes the index name, GS Film Number, Digital Folder Number and Image Number. GS stand for Genealogical Society of Utah, the precursor to FamilySearch. Take note of these numbers as you will use them when searching the FamilySearch catalog. Clicking on the film or digital folder number will not take you to the images but an alphabetical listing of the index entries. If the film or folder number is not listed to the right, read through the “Citing this Record” section below the indexed information. Make note of film number, volume numbers, certificate numbers and other information to more easily find the image of interest. From the index entry, scroll to the top of the webpage and click on the catalog tab which takes you to Family Search Catalog. Under “Search for:” click on “Film/Fiche Number” and enter the microfilm number or digital folder number and click “Search.” This takes you to the simple catalog entry. Clicking on the record’s name reveals the details of author, format, language, and publication information, followed by notes and subject headings for the catalog. Below this information is the microfilm information. Scroll down to locate the film or folder of interest and look to its right for a camera icon. Clicking on this icon opens the digital images. If the image number was included in the index entry, replace image "1" with that number and press enter. Double clicking on the highlighted image allows the user to view the record of interest. If the index entry did not include an image number, look at the beginning and end of the film for an index or directions on using it. Is the film strip divided by county, organized by certificate number or by date? It may take a while to locate the exact record sought. These same steps that helped us find our record on microfilm helps us find it among the online images. Each microfilm in the catalog will also have icons to the right. The magnifying glass allows us to search the index. The camera means digital images are available. The camera with a key above it means the images cannot be viewed from home. 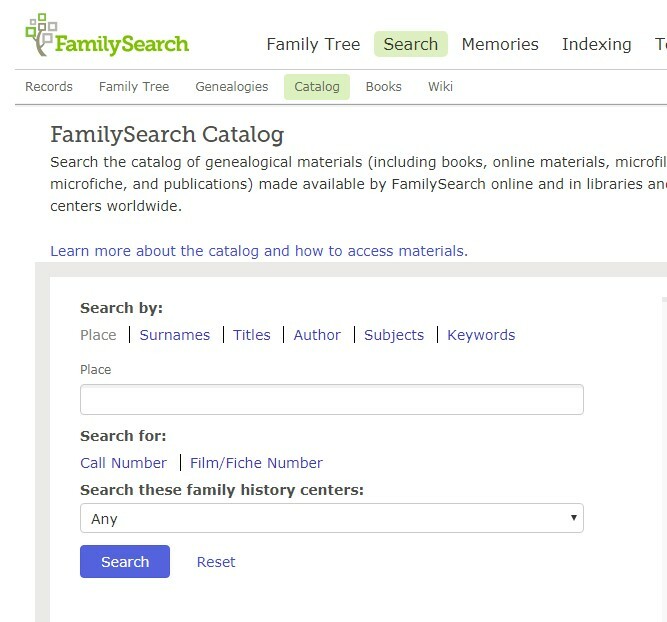 A trip to your local family history center, affiliate library such as the Midwest Genealogy Center, or the FamilySearchLibrary in Salt Lake City, UT may be necessary. 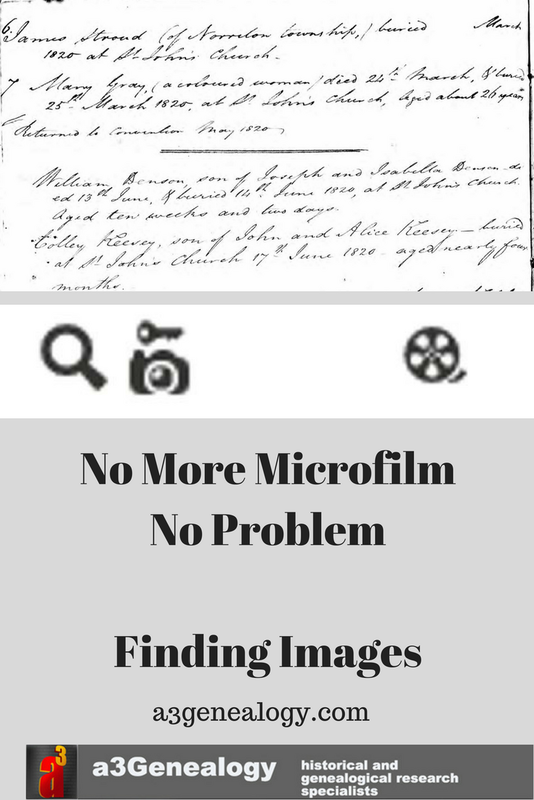 A microfilm icon means that digital images are not available from FamilySearch. Search online to see if another provider has the images online. The microfilm may be part of the collection at a local family history center, or an affiliate library. 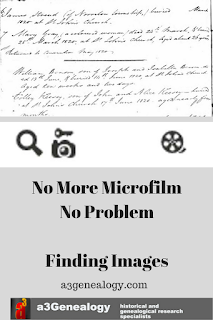 Scroll to the top of the microfilm details and look for the location drop down box. This box shows locations that have at least one of the microfilms in that record group. Changing to a different location will show only the films available at that location. A word of caution. not all FamilySearch indexes include film or folder numbers, and not all microfilm records have been indexed. With such records, the old school approach is necessary. Do a catalog search by location, author or subject to find the record of interest. Once we have identified the catalog entry we wish to pursue, we look for the icons to determine how to access that record.